For tropical drama in your garden, consider planting a sago palm (Cycas revoluta), a type of small tree grown widely throughout the country as both a container and a landscape plant. 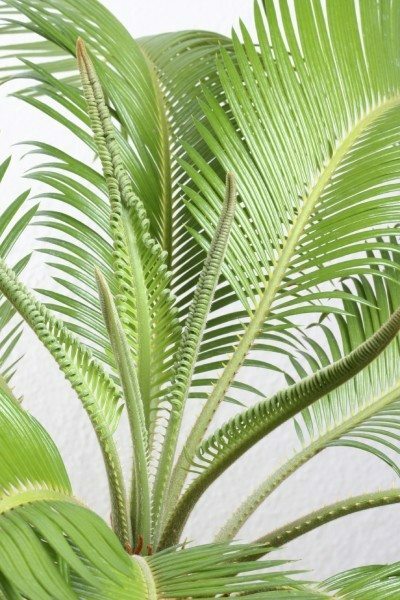 This plant is not a true palm, despite its common name, but a cycad, part of a prehistoric class of plants. You can expect your sago palm to produce a whorl of dark green, feather-like fronds on its trunk. If your sago palm has no new leaves, it’s time to start sago palm troubleshooting. Sagos are slow-growing trees, so don’t expect them to grow fronds quickly. However, if the months come and go and your sago palm isn’t growing leaves, the plant may have a problem. When it comes to sago palm leaf problems, the first thing to do is review your cultural practices. It’s entirely possible that the reason your sago palm has no new leaves is that it isn’t planted in the right location or isn’t getting the cultural care it needs. 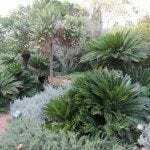 Sago palms are hardy to U.S. Department of Agriculture plant hardiness zone 9, but not below. If you live in a chillier zone, you should grow sago palms in containers and bring them into the house when the weather gets cold. Otherwise, you may experience a variety of problems with sago palm, including failure to grow foliage. 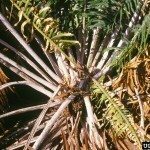 If you live in the correct hardiness zones but your plant suffers from sago palm leaf problems, check to be sure it is planted in well-draining soil. These plants will not tolerate soggy or wet soil. Overwatering and poor drainage may cause root rot. This leads to serious problems with sago palms, even including death. If your sago palm isn’t growing leaves, it may be lacking nutrients. Are you fertilizing your sago palm? You should be offering the plant monthly fertilizer during the growing season to increase its vigor. If you are doing all these things correctly, yet still you find your sago palm has no new leaves, check the calendar. Sago palms stop actively growing in autumn. It you complain “my sago isn’t growing leaves” in October or November, this could be entirely natural.